The Library has been able to access digitized issues of the Alma Record from 05 June, 1885 through 02 April 1914. This access is through the CHRONICLING AMERICA website, which provides information about historic newspapers and select digitized newspaper pages. This collection is produced by the National Digital Newspaper Program (NDNP), a partnership between the National Endowment For the Humanities (NEH) and the Library of Congress (LC). The program is a long-term effort to provide an Internet-based searchable database of U.S. newspapers. The Clarke Historical Library, Central Michigan University, is a local partner is this effort, and will be working to do more digitizing of our local newspaper resources. There is a "hot" link from the above "Digitized Alma Record" to the newspaper database located at the Chronicling America Website. 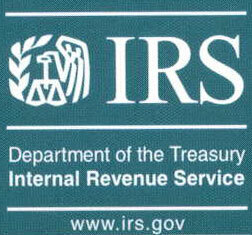 Definitely, visit and utilize this resource. It is a print "time machine" returning visitors to an earlier Alma!! The Alma Public Library subscribes to e-Book access from OverDrive. This company is a leading multichannel digital distributor of e-Books and other digital media. Library card holders can borrow popular e-Book titles by visiting the Library's website and clicking on the OverDrive icon. Titles from OverDrive can be read immediately on computers with an internet browser or on e-readers, smartphones or tablets, and all titles will automatically expire at the end of the lending period (14 days). There are no late fees with OverDrive materials! Connect with OverDrive for a new reading experience. We are very excited about Mr. David McMacken's new book, titled, "TAMING THE WILDERNESS. 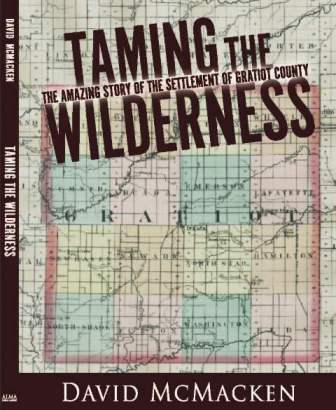 THE AMAZING STORY OF THE SETTLEMENT OF GRATIOT COUNTY". David has been working on this title for a period of time, and now it is available to all who are interested in the historic development of Gratiot County. The book chronicles the lives of Gratiot County's early settlers from 1850/1876. As David acknowledges, "This book is not a collection of family histories, nor is it a list of politicians, soldiers, store-keepers, or blacksmiths. Copious details about those folks are found in existing Gratiot County history books. Nor will this book be read from cover- to-cover. Rather, it is a narrative culled from many sources and covering many topics. It is the dramatic story of life in Gratiot County..." The book is $25.00, and can be shipped for an additional $6.00. Orders outside of the Great Lakes region should contact the library for applicable postal charges.